A wedding is one of those occasions where every detail seems to make all the difference in the world. 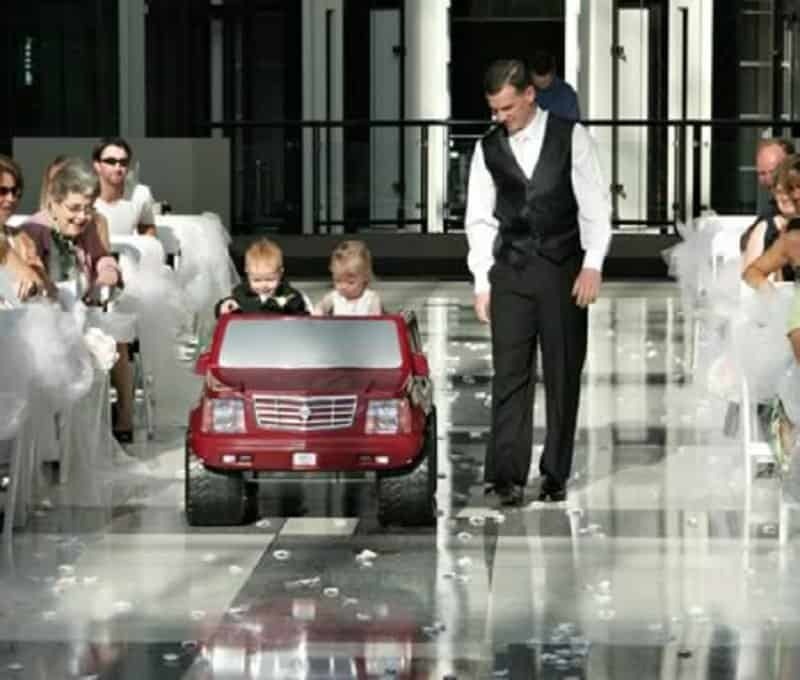 People pride themselves on creating a unique wedding experience and ensuring that the participants enjoy it just as much as the bride and groom. After billions of weddings around the world, people have to strive very hard to stay different and ensure that their special day stands out. This is why every minute detail has to be customized now, right down to the wedding cake and place holders. Even ring bearers aren’t just children anymore. People hand their rings to all kinds of unique personalities these days, and this list looks at 10 of the funniest pictures using ring bearers. 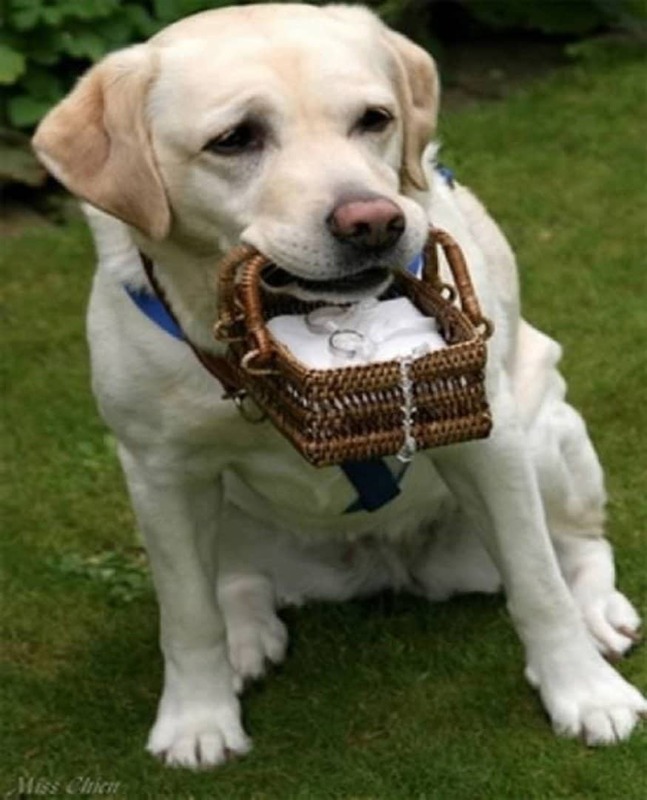 We would not use a puppy as a ring bearer for our wedding. The little guy is so cute that he is bound to steal everyone’s thunder. Kelsie Curtis is a truly lucky bride. 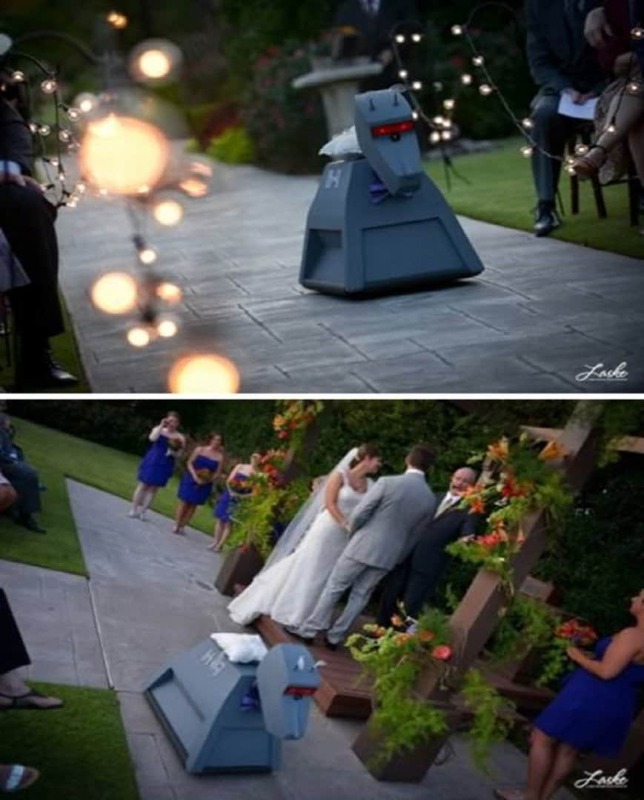 Her cool father actually built her a special robo-dog to take the place of the ring-bearer for her wedding. 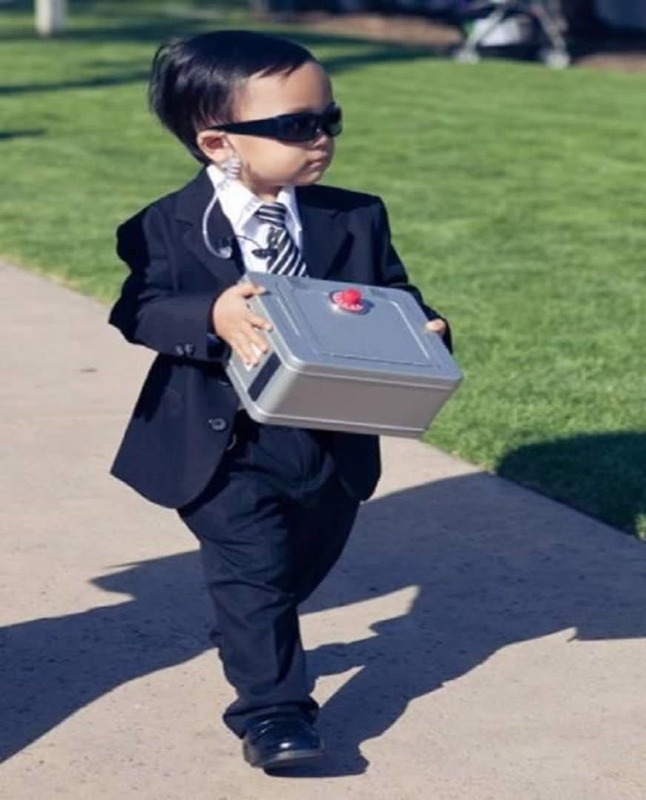 How can you expect these baby ring bearers to make the long trip up the isle? A car is definitely required for the occasion. 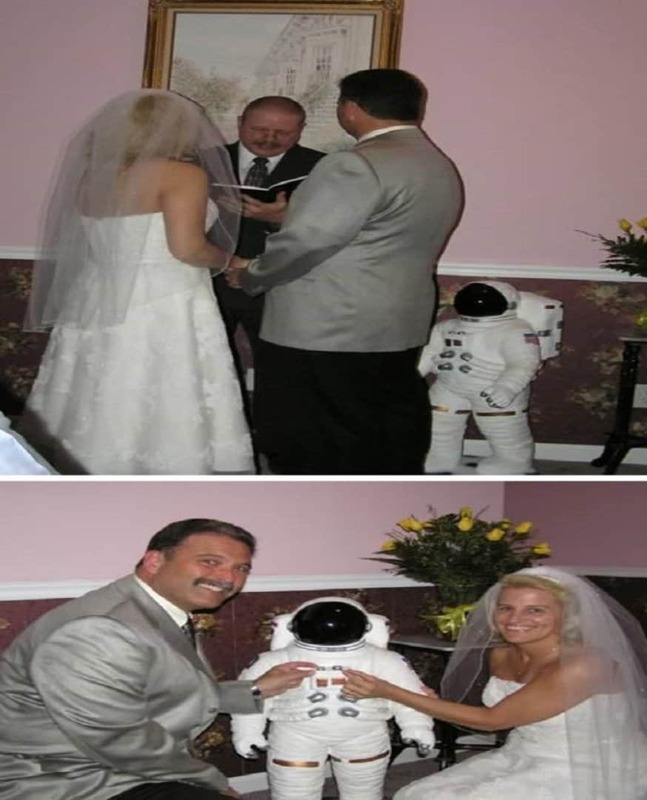 What space themed wedding is complete without a miniature astronaut as a ring bearer? That’s right, none! 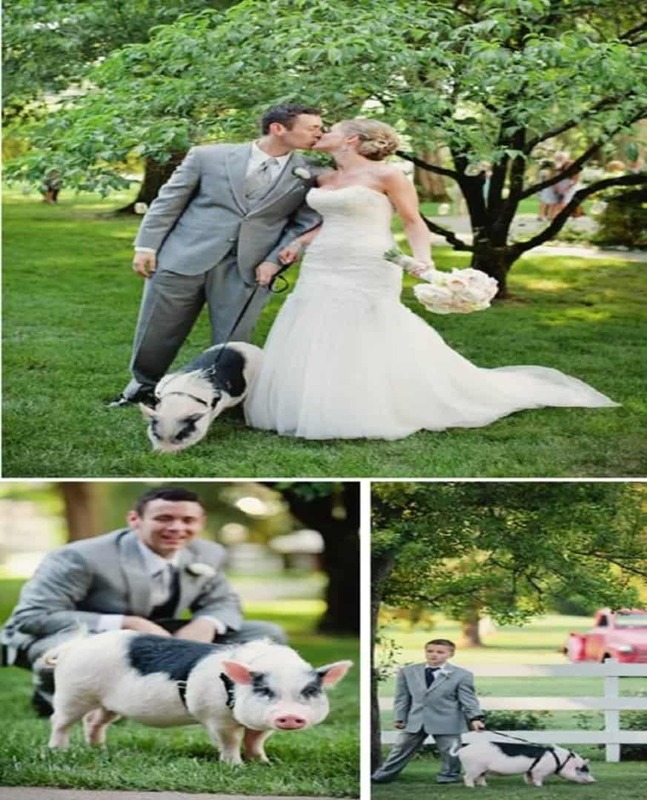 This special pig is named Mr. Hamilton, and he had the honor of being the ring bearer in this wedding. 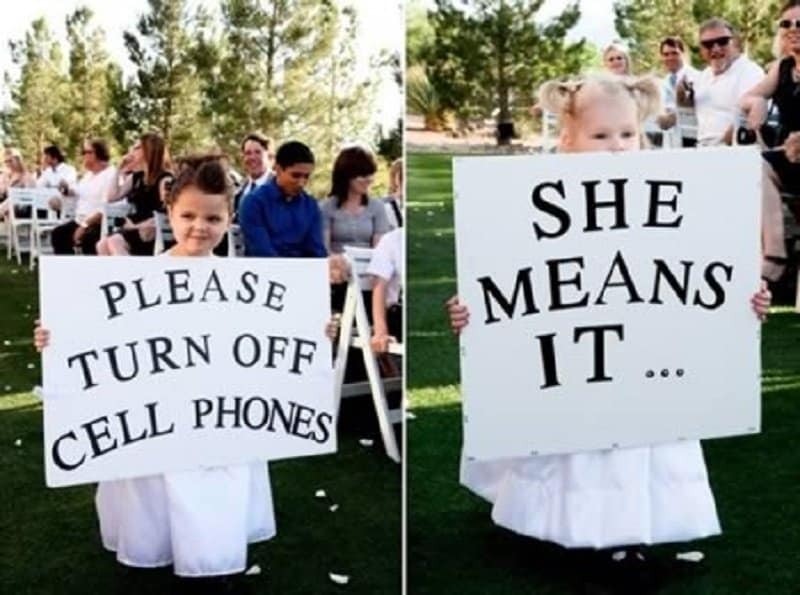 During the 2012-13 wedding season, a new trend emerged where people asked their ring bearers to hold up funny signs instead of just carrying the rings along. This is a hilarious touch to a quite serious and formal event. 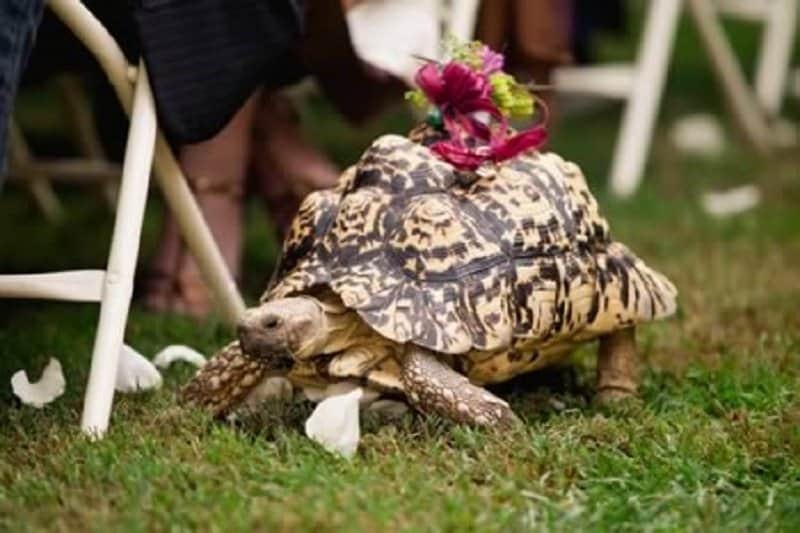 It must have taken this particular ring bearer quite some time to make its way to the ceremony. Everyone must have been stressed out wondering whether the ring bearer will show up on time. If you want to keep your rings safe, you better have the best man on the job. The best toddler will also do! 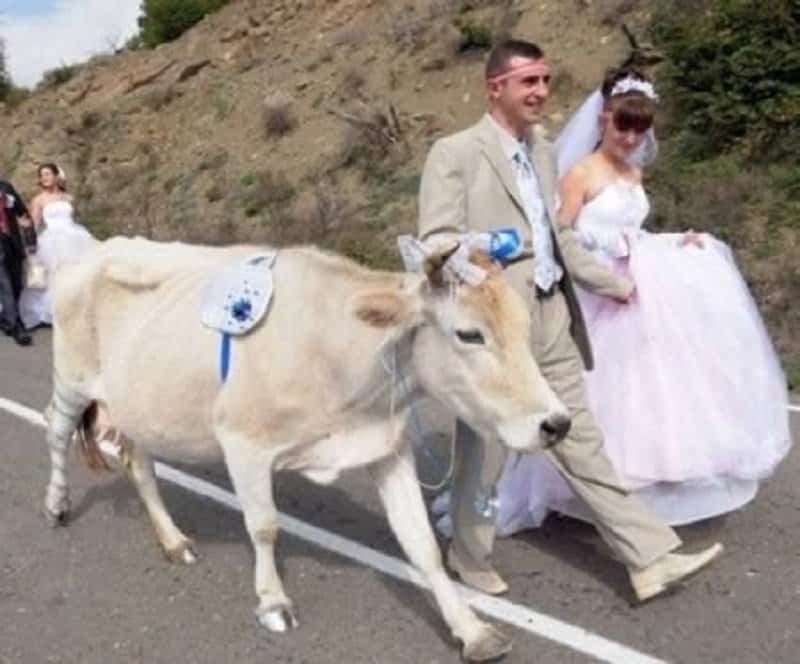 What wedding is complete without the prize cow participating in the ceremony? This wedding used their favorite barn yard animal as a ring bearer, and it seemed to mooo-ve along perfectly. Laura Cressman, a mechanical engineer, did not get a boring old ring bearer for her wedding. 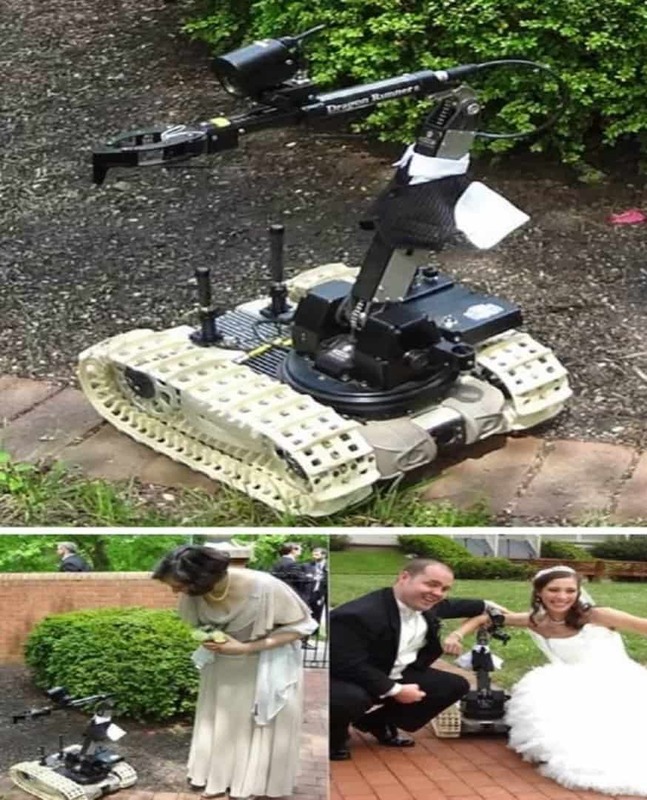 She instead went with a bomb disposal robot to hold her rings for her.